Welcome Springtime! 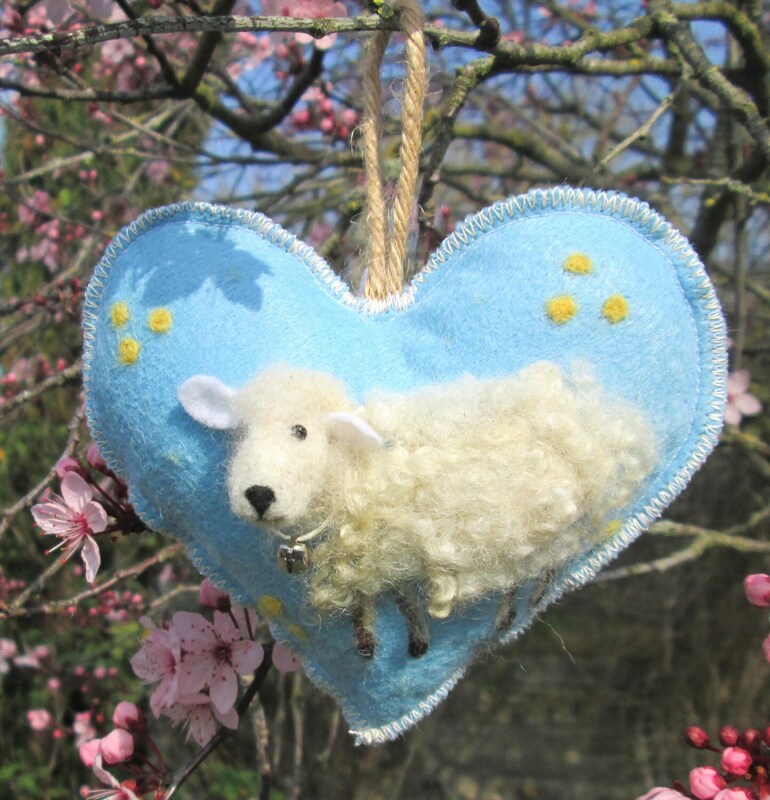 Here is Laurie the lamb gazing out from her field of primroses with a bell around her neck on this hanging heart ornament. A unique an personal Easter tree decoration. 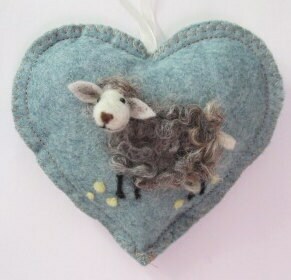 She is needle felted onto felt with pure Somerset wool and can be scented with cinnamon or lavender or left unscented. 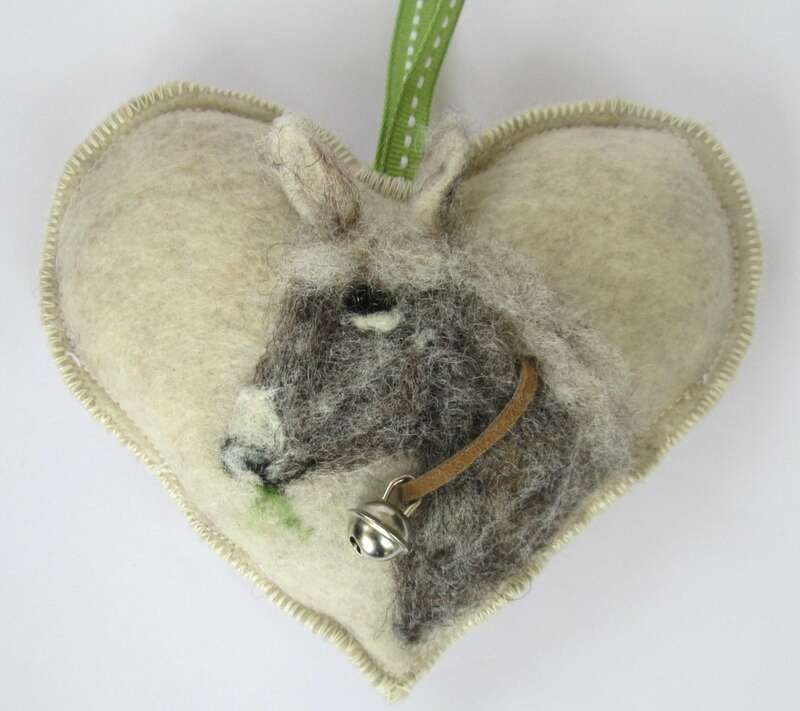 She is in Full Relief - Her ears, fleece,nose and bell are all 3 dimensional making the heart attractive from many angles. 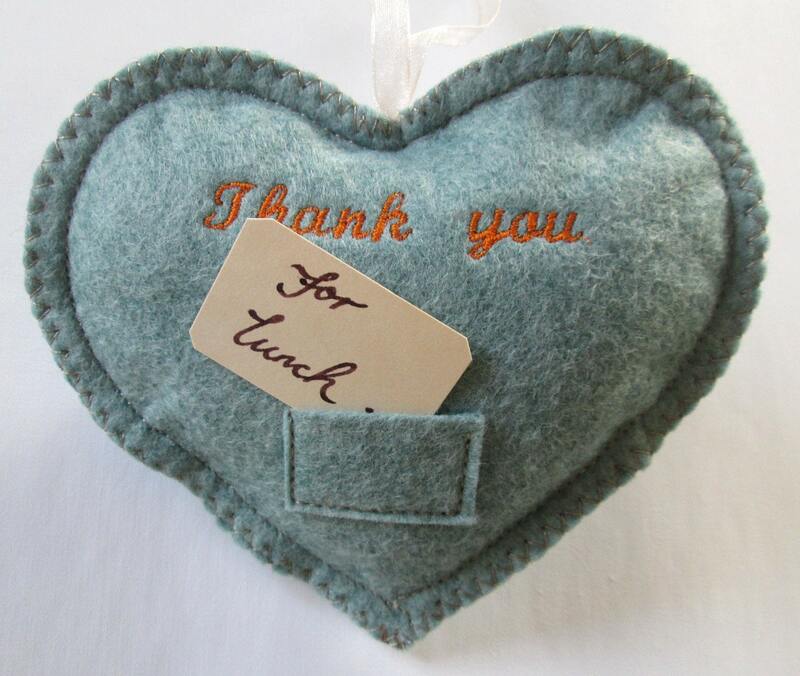 The heart has a pocket on the reverse with a blank notlet for your messages so it can be a gift and card all in one. I am also happy to embroider a name / date or short message. 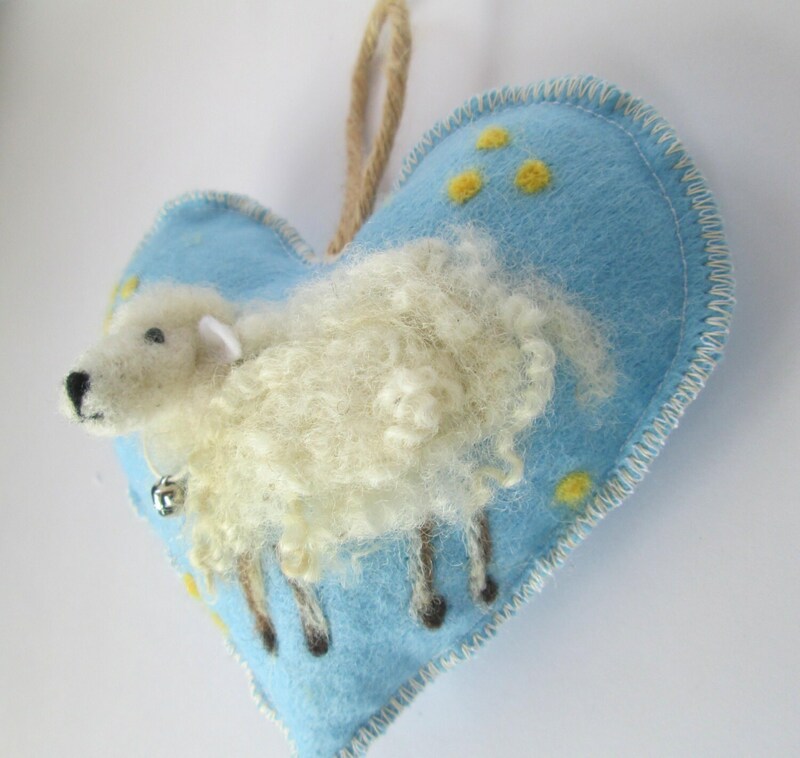 She enjoys being dangled from any handle or peg around the house or on the Easter tree. I am ready to ship him in three days.